Huiyi is a Partner in Dentons Rodyk’s Corporate practice group. Huiyi’s main area of practice is mergers and acquisitions, covering both public and private transactions and including domestic, regional and cross-border transactions. Huiyi’s experience on mergers and acquisitions include investments, acting for both the sell-side and the buy-side (bilateral as well as by way of auction), joint ventures, shareholder arrangements, takeovers and private equity work. She is also involved in corporate commercial work, corporate restructurings, listed company work and general corporate law. Huiyi is also part of the firm’s Trust, Estates and Wealth Preservation practice and advises high net worth individuals, private banks and trust companies in trust and estate planning matters. FMC Corporation: Advised on the Singapore aspects of the two transformative global transactions with DuPont involving 45 countries. The transaction consisted of the acquisition by FMC of a portion of DuPont's Crop Protection business (including insecticide and herbicide production and related R&D). The transaction includes consideration to DuPont of US$1.6 billion to reflect the difference in the value of the assets, including cash of US$1.2 billion and working capital of US$425 million. THSC Investments Pte. Ltd. (“THSC”) and Standard Chartered Private Equity (Singapore) Pte. Ltd. (“SCPE”): Advised on the pre-conditional voluntary conditional cash offer (“Offer”) for all the issued and paid-up ordinary shares of SGX-ST-listed Tat Hong Holdings Ltd (“THH”), with a view to privatising THH. THH is in the business of rental and sale of cranes. The Offer valued THH at approximately SS$414 million based on the offer price of S$0.55 per offer share. THSC is the joint venture entity between SCPE and TH60 Investments Pte. Ltd., the investment vehicle of certain majority shareholders of THH. Rollins, Inc.: Acted for NYSE-listed Rollins, Inc. in its acquisition of Aardwolf Pestkare (Singapore) Pte Ltd, one of Singapore’s leading pest management providers. Consortium of Angel Investors: Acted for private investors in the early-stage investment in a fintech startup. Consortium of Individual Investors: Acted for a consortium in the purchase of McDonald’s business in Malaysia and Singapore, from McDonald’s Corporation. Goodwood Park Hotel Limited: Acted for Goodwood Park Hotel Limited in the voluntary unconditional cash offer made by DBS Bank Ltd., for and on behalf of Hotel Holdings (Private) Limited, for all the issued ordinary shares in the capital of GWP (the “Offer”). The Offer valued GWP at approximately S$1.85 billion. Broadway Industrial Group Limited (“BIGL”): Acted in the disposal of its foam plastics solutions and flow control device businesses to Broadway Holding II Limited, an investment vehicle wholly-owned by US private equity firm Platinum Equity. Changi Airport Group: Acted for a wholly-owned subsidiary of Changi Airport Group (Singapore) Pte. Ltd in its equity investment in and joint venture with a PRC-incorporated entity providing travel-related products and services. Confidential client: Acted for a private investor in the acquisition of the entire issued and paid-up share capital in Cecil Pte. Ltd. from Mr Cheong Sim Lam for S$210 million. Cecil Pte. Ltd. is the registered proprietor of the property at 137 Cecil Street, formerly known as the Aviva Building. Russian Direct Investment Fund, Gazprombank and a Middle East sovereign fund: Acted as Singapore counsel in the subscription and shareholding arrangements between the consortium of private equity investors in connection with the acquisition of a liquefied petroleum gas and light oil products terminal in Russia. Grand Apex Holdings Pte Ltd: Acted in structuring, conducting and completing its voluntary conditional cash offer (the “Offer”) for SGX-ST-listed Popular Holdings Limited (“Popular Holdings”), in a privatisation exercise. Popular Holdings is in the business of investment holding for property development, retail and distribution and publishing and e-Learning assets. Grand Apex is controlled by a controlling shareholder of Popular Holdings. The Offer valued Popular Holdings at approximately S$255 million. LCD Global Investments Ltd: Acted for SGX-ST-listed LCD Global Investments Ltd in the mandatory conditional cash offer (“Offer”) by RDL Investments Pte Ltd, for LCD Global, in a proposed privatisation exercise. LCD Global is in the business of hospitality and investment holdings. The Offer valued LCD Global at approximately S$179 million. Daiwa and certain group entities of Daiwa: Acted as Singapore counsel to Tokyo Stock Exchange-listed company and its subsidiaries, in their roles as issue manager and underwriter in the initial public offering (the “IPO”) of Accordia Golf Trust (“AGT”) on the Mainboard of the SGX-ST, as well as the trustee-manager and asset manager of AGT, in respect of certain issues relating to the Singapore Code on Takeovers and Mergers, substantial shareholding and other Singapore regulatory matters and security agreements. Sunright Limited: Acted in the disposal of approximately 34.62% of the issued and paid-up share capital of KESM Test (M) Sdn Bhd (KESM Test) to KESM Industries Berhad (KESMI), a company listed on Bursa Malaysia, in a cross-border transaction involving two listed entities. Moya Holdings Asia Limited: Acted in negotiating and completing its issuance and allotment of new ordinary shares in the capital of Moya Holdings to Tamaris Infrastructure Pte. 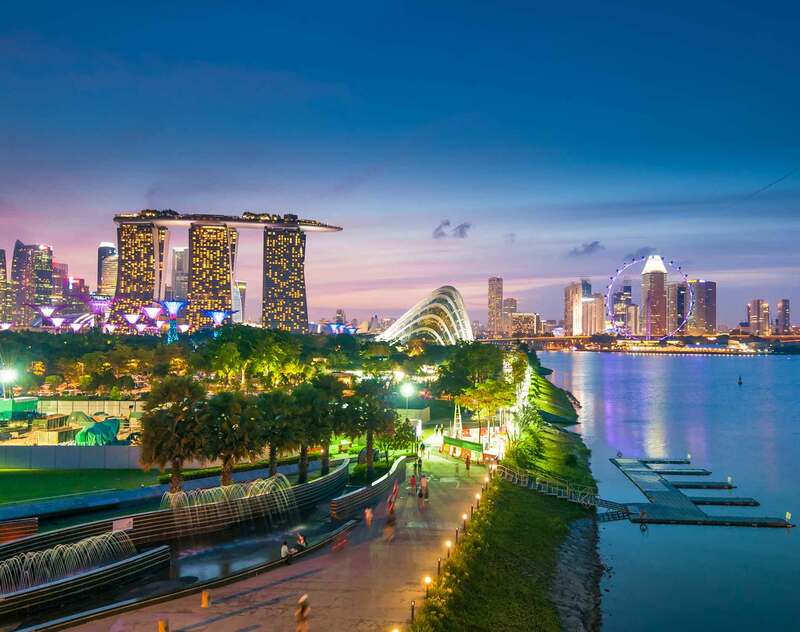 Ltd. in two (2) tranches, representing approximately 29% of the enlarged share capital of Moya Holdings Asia, for anaggregate subscription consideration of approximately S$30 million. Java Petral Energy Pte Ltd: Acted in its sale of a 51% stake in Cepu Sakti Energy Pte Ltd (“Cepu Sakti”) to Giken Sakata Investment Holdings Limited, a wholly-owned subsidiary of Catalist-listed Giken Sakata (S) Limited (“Giken Sakata”), for a consideration of S$48 million, to be paid in cash and shares in Giken Sakata representing approximately 16.5% of the enlarged share capital of Giken Sakata. TCC Assets Limited and Thai Beverage Public Company Limited: Acted in the successful takeover offer for SGX-ST-listed Fraser and Neave Limited. (“F&N”), which valued F&N at approximately S$13.8 billion, fending off a competing offeror. PT Indofood Sukses Makmur TBK: Acted in the successful takeover offer for SGX-ST-listed China Minzhong Food Corporation Limited (“CMZ”), which valued CMZ at approximately S$734 million. Northstar Group: Acted in its acquisition of the “ERA Real Estate” franchise in Singapore and the Asia Pacific. Various Clients: Advising and acting on various corporate and commercial transactions (including cross-border transactions) including subscription agreements, shareholders’ agreement, sale and purchase agreements, escrow agreements, employment matters and legal due diligence, as well as advised on related Singapore law issues. Advising on corporate governance and compliance matters. High net worth individuals and families: Advising on estate succession for high net worth individuals and families, both domestic and cross border. Multiple clients: Advising on structuring and establishment of wills, trusts and other structures to ensure family and business succession.